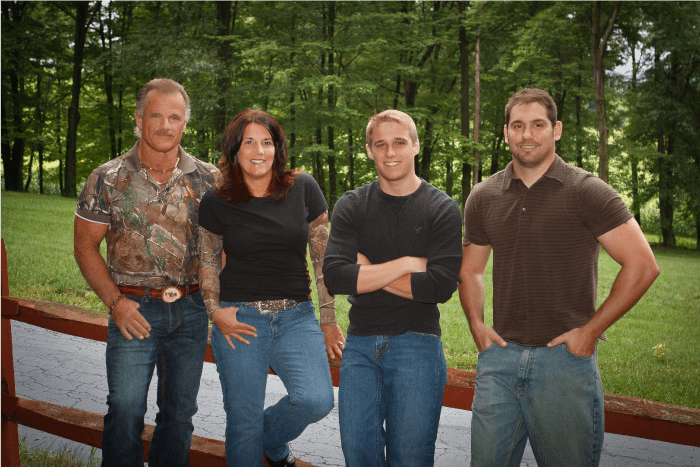 LevelLok is a family owned and operated business. Owner Brad Brubach has designed and invented all of the units. His love for hunting is how the business got started back in 1996. LevelLok was born from Brad’s realization that the hunting industry lacked the availability of well designed, versatile shooting equipment for the typical sportsman. What were available were products of poor design and cheap quality, constructed of soft plastics, weak alloys, and failing materials. There was no single product available to assist the sportsman in shooting accurately in the numerous and diverse hunting situations that arise. Although the original design concept focused primarily on tree stand hunting, the current LevelLok™ product line is designed to address and assist the sportsman in most every type of shooting situation. Whether you are a big game hunter, bird hunter or a recreational shooting enthusiast there is a LevelLok product designed to promote accuracy and self confidence. Our new tripod / multipod all-in-one system was designed to help hunters of all ages, male or female. We have been working with police academies, tactical groups, men of service and also the physically challenged hunter. So as you can see LevelLok is not only a product for the hunters needs. We have a product for everyone and every situation. Our goal is to allow you to shoot with accuracy and confidence. LevelLok™ products do not focus on any one particular type of user, but complement every single person who enjoys sport hunting and shooting. Whether it be the backyard deer hunter, the varmint hunter, the African Safari hunter, the avid bench rest shooters, or even the physically disabled; the multitude of LevelLok™ products and interchangeable accessories address the common goal of shooting accurately in a quick, clean, and efficient manner. Our goal is really to just bring a great quality and affordable product to our customers. Products that have been field tested and designed for the hunter and shooter, by a hunter and a shooter with years of experience in the field. To also hear our customers suggestions and help in anyway we can once a unit is purchased. To also reach out to ma and pop stores to handle our products with the same care for our customers as we have. You most likely won’t find our products in some of the bigger chain stores out there, but on different websites, small box stores, and TV commercials. This enables us to work closely with our store owners and customers. We aim to keep our hunters happy and hunting!